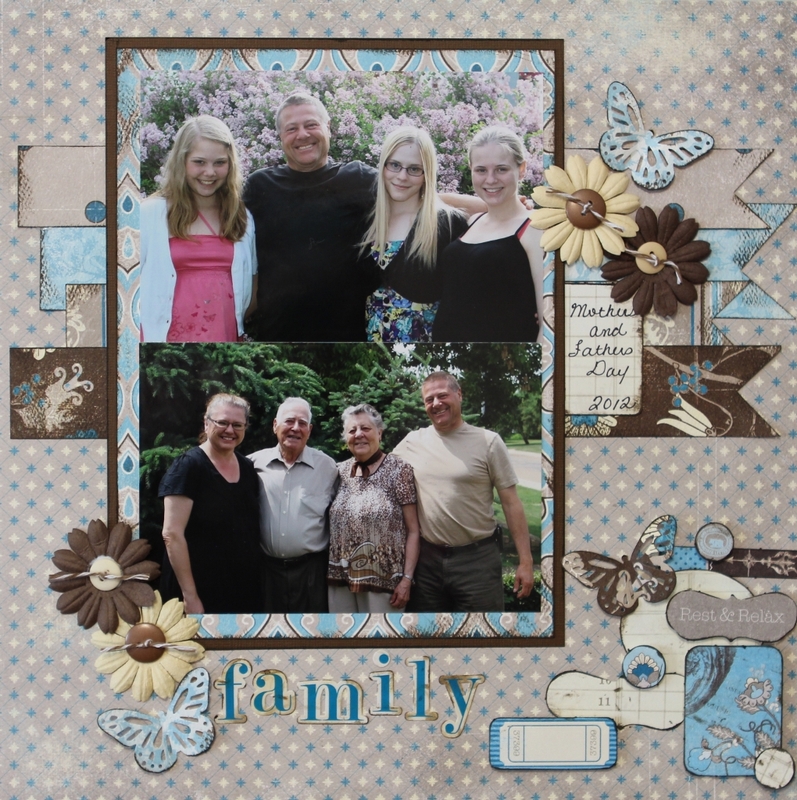 Just posting a quick layout I did of Mother's and Father's Day. I'm trying desperately to get caught up in my family albums. I'm really going to rethink this whole thing for 2013. I have just too many albums on the go. Laya's wedding photos came in last week and I really want to get started on those, but I want to finish all of the other stuff first! It's a great layout but you're not in it, are you? These are lovely family photos, Char! And the colour palette is so pretty! Gorgeous colors, beautiful photos and I love all your details!